This small neighborhood of condos and vacation cottages in Miramar Beach is full of beautiful rental properties. 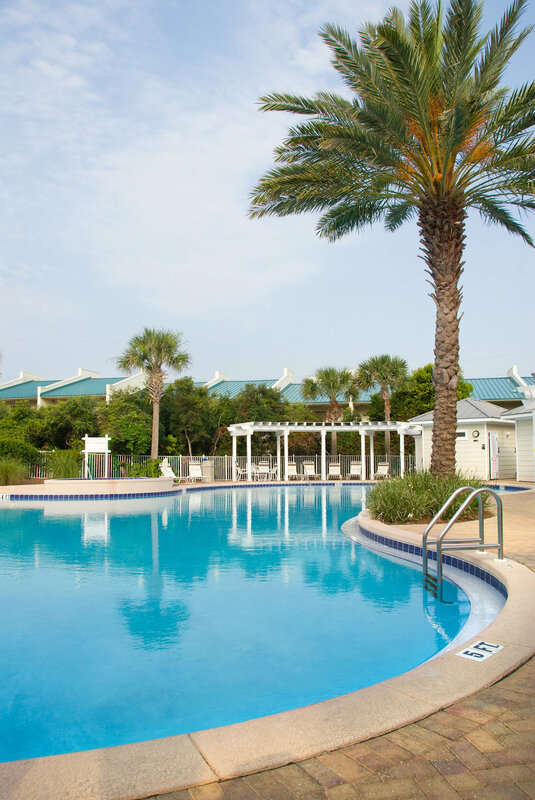 The community has its own seasonally-heated pool and hot tub, perfect for an after-beach swim or a place to relax and soak up the sun. It's just a short distance from the beach and other area entertainment; including: paddleboard rentals, parasailing, snorkeling and deep-sea fishing.